'The Paper Cranes' was written as a result of teaching a class of students at Blair Athol language Centre. This short story has been used in an exhibition launched by the migration museum in Adelaide. It toured Australian cities after showing in Adelaide. As a result of the story one thousand paper cranes hang in several classrooms across Adelaide. A Japanese film director read the story on the internet, flew from Hiroshima and interviewed Jan. His film 'Sadako' was shown across Japan and then viewed internationally. Jan is featured in the documentary reading to her students as they sit beneath the thousand paper cranes. Jan has received hundreds of letters from the Japanese public for her comments in the film which was shown in Japan for National Peace Day. 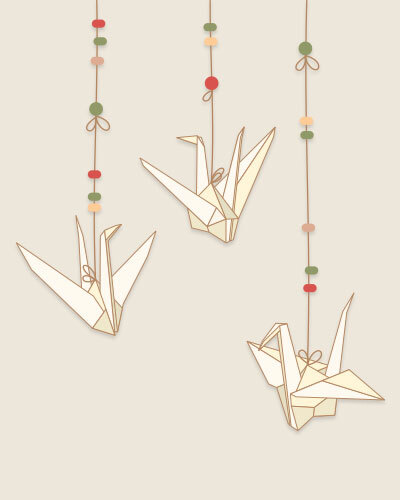 If you would like read the paper cranes story please click here. "Culture is... Australian Stories Across Cultures- An Anthology"
Edited by Anne-Marie Smith, published by Wakefield Press in association with The Multicultural Writers Association of Australia. As part of 'The Multicultural Writers Association of Australia' Janice has had poetry published in this new publication. "What shapes us as Australians? This anthology presents contemporary views from writers of all backgrounds - Indigenous, Migrant, Refugee or Settler. It will ring true with all Australians, travellers or would-be travellers." This book is available from Dymocks bookshops. Knights of the Road records the fascinating bond between riders and motorbikes. The recurring themes connecting the riders, and freedom, friendship, a sense of belonging and the quest for a spiritual journey. The 'Knights of the Road' never met each other, relating their experiences individually. Yet they were inextricably lined through their passion for motorbikes. 'Knights of the Road' is no longer available as it is now out of print - August 2008. Buy book bundles and save! Purchase two or more books to save!